Although I have personally reviewed over two hundred fiction and non-fiction books, I admit I have my favourites. 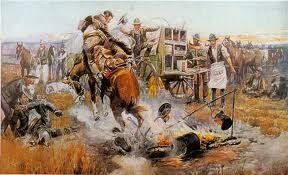 Blazing the Old Cattle Trail by Canadian Grant MacEwan; We Pointed Them North: Recollections of a cowpuncher by E.C. 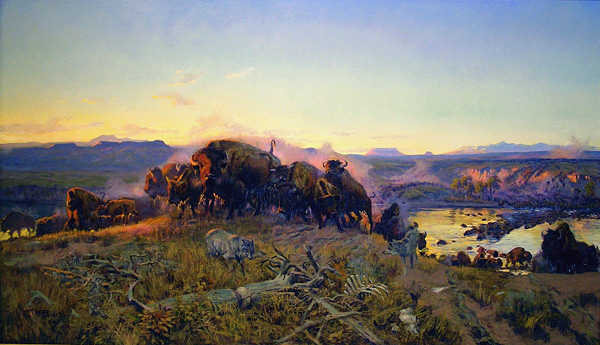 “Teddy Blue” Abbott and Helena Huntington Smith; and Klondike Cattle Drive by Norman Lee are three that I can think of off-hand, but now I can add another: Trails Plowed Under by Charles Marion Russell [Bison Books, July 28, 1996.] with forward by Will Rogers. 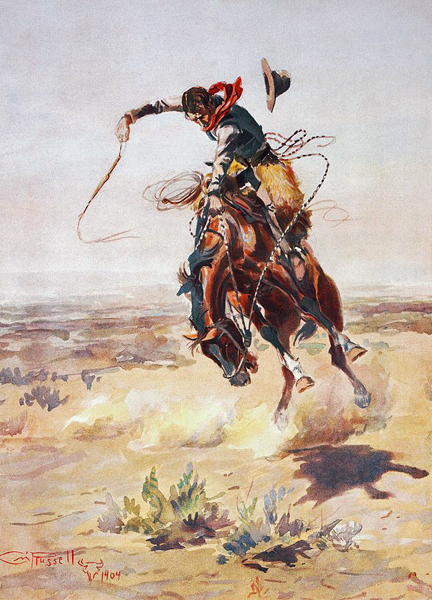 Most people know Charles Russell as an internationally acclaimed artist, illustrator and painter of “The West that’s passed,” (his own words), but fewer know that he was a gifted writer of tall tales as well. “Betwine the pen and the brush there is little diffornce but I belive the man that makes word pictures is the greater.” ~ Charles M. Russell letter to Ralph S. Kendall, November 26, 1919. Like most great writers, Russell knew his material first-hand. 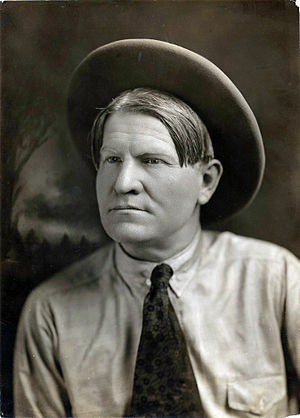 He was born March 19, 1864, in St. Louis, Missouri, on the edge of the burgeoning western frontier. As a boy, he crafted his own expectations of the American West by filling his schoolbooks with drawings of cowboys and Indians. Shortly before turning 16, he arrived in Montana, where he spent eleven years working various ranching jobs. He sketched in his free time and soon gained a local reputation as an artist. His firsthand experience as a ranch hand. 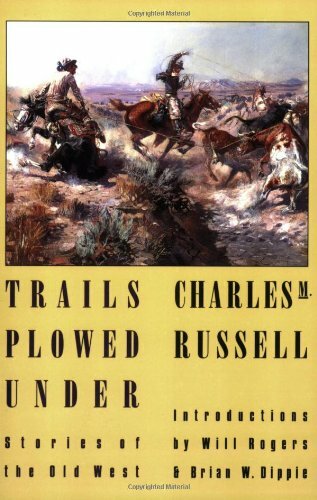 Charlie Russell became the personification of the West itself. He wanted little to do with the present and nothing to do with the future, and chose to celebrate and romanticize only the traditions and virtues of the West as he envisioned it. 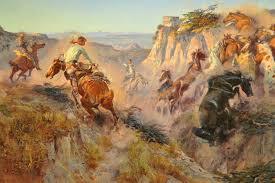 He wanted it known that he had taken part in the Old West, and was a better man for it. Even as an internationally-known western artist, Russell cherished—far more than his skills—his friendships and his place as a peer among common people. Although he produced over 4,000 works of art and 27 books to internation acclaim, with fame went modesty. Charles Russell often said that God had given him his talent, that nature provided the schooling, and that therefore he had no cause to boast about the results. The talent was undeniable. He could model figures out of beeswax or clay without looking at his hands. 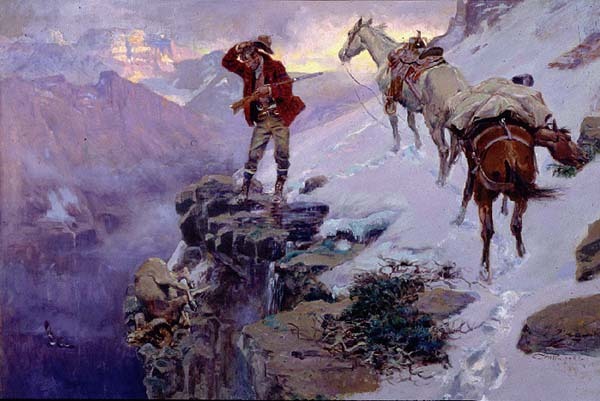 From memory, he could paint men and horses he had known decades before, in action and with features which old-timers could identify, And he could accurately record in writing the speech patterns of wranglers, nighthawks, and rawhides long since vanished. Russell was not so good a writer as he was a painter, illustrator, or sculptor. But that undeniable fact should blind no one to the rich excellences of his short stories, semiautobiographical anecdotes, and essays. At their best, they have the twang and tang of Mark Twain, Bret Harte, and Will Rogers. The main virtues of Russell’s writings are the same as those which distinguish his best art work: authenticity, detail, suspense, and humor. Charley Furiman tells me about a hoss he owns and if you’re able to stay on him he’ll take you to the end of the trail. The gent Charley got him from says he’s, “Gentle. He’s a pet.” (This man hates to part with him.) “He’s a lady’s hoss. You can catch him anywhere with a biscuit. 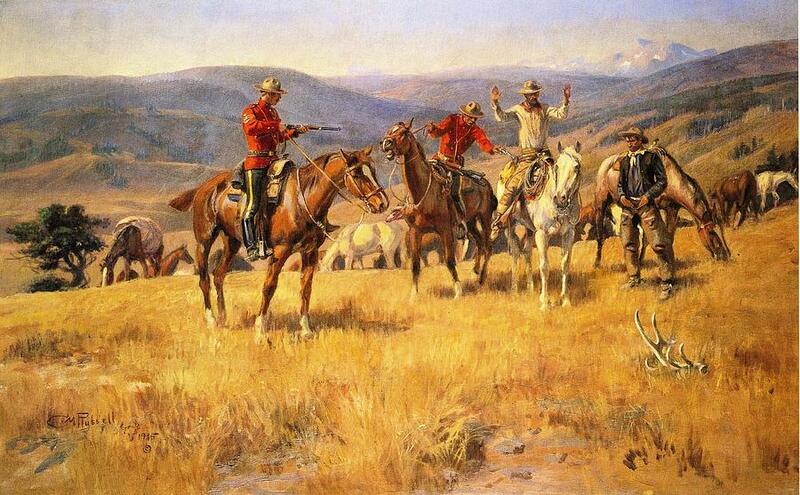 “Next day Charley finds out he’s a lady’s hoss, all right, but he don’t like men. Furiman ain’t a mile from his corral when he slips the pack. Charley crawls him again kinder careful and rides him sixty miles an’ he don’t turn a hair. Next day he saddles him he acts like he’s harmless but he’s looking for something. He’s out about ten mile. Charley notices he travels with one ear down. This ain’t a good sign, but Charley gets careless and about noon he comes to a dry creek bed where there’s lots of boulders. That’s what this cayuse is looking for ’cause right in the middle of the boulder-strewn flat is where he breaks in two and unloads. Charley tells me, “I don’t miss none of them boulders an’ where I light there’s nothing gives but different parts of me. For a while I wonder where I’m at and when things do clear up it comes to me right quick. I forgot to bring the biscuits. How am I going to catch him? If I had a Winchester, I’d catch him just over the eye. For anyone who enjoys Western yarns, told be someone who experienced the West first hand, and can spin a yarn the way it was told, this collection is for you. Five bees. It is a collection of people, facts and events in Canadian history, and includes a bibliography of interesting Canadian books as well. Latest post: Molly Lamb-Bobak, CM, ONB: Canada’s first Official Woman War Artist. Notice to all those who have requested a book reviewThank you for your interest, and my apologies for not responding to your request individually. I’m getting there, but the numbers have been overwhelming. Please extend your patience just a bit longer.